Yigit Pura is a sugar fiend . . . and a pastry dynamo! His hanging desserts have sparked excitement and devotion at some point of his profession, from the pinnacle pastry kitchens of recent York and San Francisco to the winner's podium on top Chef: simply cakes. His sugar show off is Tout candy Patisserie, his pâtisserie and dessert laboratory on San Francisco's Union square. Now, in sweet Alchemy, Yigit stocks his technique to pastry and his candy formulation for the first actual time. He demonstrates how fun and, in reality, simple it may be to combine trustworthy basics into lovely, multilayered cakes. each aspect-pushed bankruptcy (sugar, flour, dairy, fruit, and chocolate) contains new twists on traditional recipes, including Butterscotch Sauce, candy Almond Tart Dough, and Baked Berry Meringue Kisses. those playful sweets may be served on their very own or mixed into irresistible mélanges including the Negroni Creamsicle, a composition of Citrus & Vanilla Bean Scented Panna Cotta, Grapefruit-Campari Gelee, and Ruby crimson Grapefruit Supremes, or the horny Chocolate Coupe, a chocolate extravaganza that marries darkish Chocolate Cremeux to Bittersweet Flourless Chocolate Cake. This e-book brims with progressive recipes and classic techniques to be able to elevate your pastry recreation and produce you into Yigit's world. 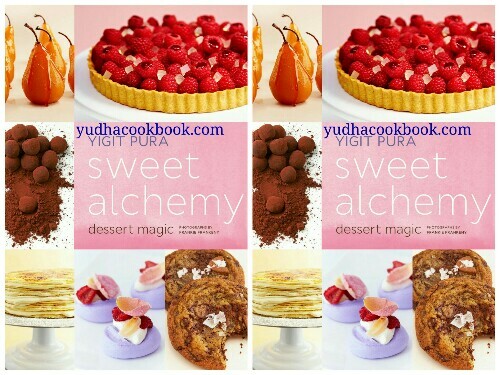 you will be inspired to create your personal sweet alchemy. Yigit Pura is a pastry chef and winner of Bravo'sTop Chef: Just Desserts. His pastry shop Tout Sweet Pâtisserie is based in his hometown, San Francisco. Follow Yigit: @YigitPura and @ToutSweetSF. Frankie Frankeny is a San Francisco-based food photographer. Her work for Chronicle Books includes Michael Chiarello's Live Fire, Humphrey Slocombe Ice Cream Book, and Miette.